Raymond Samuel was born in France on 31st July, 1914, the same day that the French Socialist leader and pacifist Jean Jaurès was assassinated. After studying law he took a master's degree in science from Harvard University. On his return to France he became an engineer. He was also an active member of the French Communist Party, he married fellow member, Lucie Bernard, in December, 1939. He was later to say that the decision he was most proud of was choosing his partner. "You know," he said, "in life there are only three or four fundamental decisions to make. The rest is just luck." After the defeat of France in 1940, the couple moved to the unoccupied zone in Lyon. During this period his parents, Albert and Hélène Samuel, were deported and died in a Nazi Concentration Camp. In an attempt to disguise their Jewish background they took the name Aubrac. After meeting Emmanuel d'Astier, the three activists established the left-wing Libération-sud resistance group. For the next two years Lucie and Raymond, lived double lives as resistance organizers. They were also involved in the publication of the Libération newspaper. Lucie Aubrac gave birth to her first child, Jean-Pierre, in May 1941. She often took her child to meetings with resistance leaders such as Jean Moulin, to divert the attention of the Milice. According to her own account she "delivered packages, printed propaganda and hatched and executed escape plans." At the end of 1942 the German Army occupied the whole of France and Lyon became the headquarters of Gestapo chief, Klaus Barbie. In March 1943, Raymond Aubrac was arrested. However, after two months of being interviewed he was released. On 7th June 1943, René Hardy, an important member of the resistance in France, was arrested and tortured by Klaus Barbie and the Gestapo. They eventually obtained enough information to arrest Raymond Aubrac and Jean Moulin at an important meeting of the French Resistance at a doctor's surgery at Caluire in Lyon on 21st June, 1943. Moulin was tortured before being moved to Paris where he died from his injuries on 8th July 1943. Aubrac was held and tortured in Montluc Prison in Lyon. He later recalled that Barbie got pleasure from making his victims suffer. "I had the impression that he wasn't really interested in the answers of the questions he was asking. His pleasure was to feel his power, his force, by torturing." Lucie Aubrac, who was pregnant with her second child, visited the prison and claimed that she was unmarried and that Raymond was the father of her expected child. She pleaded that Raymond be allowed to marry her before his execution. The Gestapo believed her story and allowed the couple to get married. While being transferred back to prison after the "marriage" armed members of the resistance attacked the lorry and freed him. Lucie and Raymond went into hiding until a plane could take them back to London, where they arrived in February, 1944. After the liberation of France General Charles De Gaulle appointed Raymond Aubrac as the Commissioner of the Republic for Marseilles (1944-45). Raymond Aubrac, a member of the French Communist Party, established the Bureau of Study and Research of Modern Industry. He also worked as a high official of the United Nations Food and Agriculture Organization in Rome. Lucie Aubrac visited schools and told the students about her experiences during the war. 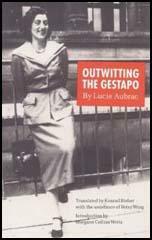 She also wrote a couple of books about the French Resistance including Outwitting the Gestapo (1984). She once said: "Resistance is not just something locked away in the period 1939-45. Resistance is a way of life, an intellectual and emotional reaction to anything which threatens human liberty." In 1983 Klaus Barbie was arrested in Bolivia. Before his trial, Barbie let it be known that in court he would reveal new facts about the resistance. This included the claim that Raymond Aubrac became an informer after being arrested in March, 1943, and that he had been responsible for the arrest of Jean Moulin. Barbie died in September, 1991. Soon afterwards the so-called "Testament of Barbie" was released that once again accused Raymond Aubrac of being an informer. 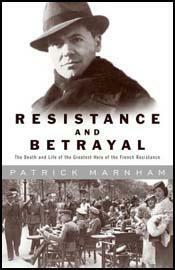 In 1994 Aubrac published his book, The French Resistance. In 1997 the journalist, Gerald Chauvy published a book that relied on information supplied by Barbie to suggest that Aubrac had betrayed Jean Moulin. In 1998 Raymond and Lucie Aubrac won a libel case against Chauvy. Raymond Aubrac, aged 97, died at the Val de Grace Military Hospital in Paris on 10th April, 2012. When Raymond was being taken back to the prison, we drove alongside the truck and killed the driver and the guy next to him. The truck came to a halt and the soldiers who were in the back got out and we went "Bang, bang". Raymond jumped out of the truck too quickly and was wounded, but we put him in another car and drove him off to his hiding place. Lucie Aubrac, a French schoolteacher whose melding of romance and resistance to Nazi occupation not only made her resemble Ingrid Bergman’s character in “Casablanca” but also inspired popular films based on her own life, died Wednesday in a Paris suburb. She was 94. “She was an emblematic figure of the central role of women in the Resistance,” Jacques Chirac, the president of France, said Thursday in a statement. Ms. Aubrac several times rescued her husband, Raymond, a leader of what was called the Secret Army, from prison. Once, she confronted Klaus Barbie, the Gestapo officer known as the Butcher of Lyon. She presented herself to Mr. Barbie as a pregnant, unmarried aristocrat whose fiancé had been arrested and imprisoned by mistake. She begged him to let them be married to make the child legitimate. With what she described as “a queer smile” in her diary, Barbie opened his desk drawer and took out a portfolio. It contained various papers and cards pertaining to her, as well as a small snapshot of her in a bathing suit on a beach with a baby by her side. The papers she carried identified her as unmarried, calling into question her urgent request: either she was already married and her identification was fake, or she did not care about the public appearance of virtue as much as she had claimed. Barbie demanded to know how long she had known the prisoner, whom he called a terrorist. She stammered six weeks. He threw her out of the office. She later bribed another Nazi officer who did not know she had seen Barbie to let the couple be married in his office. Afterward, in a blaze of gunfire, she and other Resistance members killed the driver and others in the truck taking Mr. Aubrac and 13 other Resistance fighters back to jail and freed them. When Mr. Aubrac was jailed in 1940, she had slipped him pills containing a virus, and he escaped while being transported to a military hospital. Another time, she visited a prosecutor and calmly told him he would not live to see another sunset unless he released Mr. Aubrac. Lucie Bernard was born on June 29, 1912, in Mâcon, in the Burgundy region of France, the daughter of a winemaker. She was a young teacher when she met Raymond Samuel in Strasbourg through mutual friends. He had just completed a year’s study at the Massachusetts Institute of Technology and she had a scholarship to study in the United States. Both later adopted the surname Aubrac as one of their underground aliases. They decided to keep it. In 1998, she and her husband won a libel case against the historian Gérard Chauvy, who suggested that her husband was an informer and that her memory was vague. Barbie said, during his 1984 trial, that Mr. Aubrac had been his informer, but historians have generally rejected that claim. Lucie and Raymond Aubrac became lovers on May 14, 1939, The Independent reported, and conceived Catherine on that day four years later. Each year, they treated themselves to dinner on May 14 at Le Jules Verne restaurant on the second level of the Eiffel Tower.